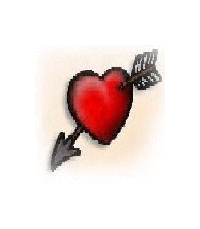 Find Love- Keep Love : Romance News : Love Advice : Love is Blind? There are no whispers of sweet nothings, showy kisses of affection or expensive gifts on those special occasions. True love takes on a different form with this beautiful couple. Love ---for Khoo Joo Sian and her husband, Yap Hing, of Taman Kapar, Malaysia--- is about taking turns sipping from the same cup of tea, eating from a single plate and insisting the other take the last morsel of food during meals. Love also means Khoo, 65, holding her husband's hand tightly while in traffic, and never letting him out of her sight when they are out collecting recyclable cans on their rusty bicycle. For Yap, 64, is blind. And it was an act of love more than a decade ago that cost him his vision. One day back then, he had surgery to remove cataracts from his eyes, then went home with strict instructions from the doctors to rest in bed. His wife dutifully tucked him in bed and went to work, her usual job washing dishes at a restaurant. "I knew there was no more money in the house. I am her husband, and I felt I should be the one putting food on the table," said Yap. So he stole out of bed that fateful day and went to the construction site where he worked as a laborer. He went to work, and as he was carrying some bricks he suddenly lost his vision and collapsed. The doctors told him later that some veins in his eyes had burst because of the exertion so soon after the surgery. Khoo has since become his ray of light. "He is my husband. It is my responsibility to care for him and to love him, no matter what", said Khoo, who married Yap when they were in their 40s. They make their living now collecting and selling recyclable items in Klang, Taman Kapar. At around 3pm, they can usually be seen, walking hand-in-hand towards their favorite coffee shop for an afternoon cuppa. 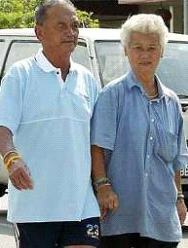 "Life has not been easy but I am never lonely because I have him," Khoo said. Yap said they do not know much about "lovey-dovey" words. "But I will take care of her until I die because I am her man and she is my woman. Isn't that enough?" he asked. ---Love is patient, love is kind. It does not envy, it does not boast, it is not proud. It is not rude, it is not self-seeking, it is not easily angered, it keeps no record of wrongs. Love does not delight in evil but rejoices with the truth. It always protects, always trusts, always hopes, always perseveres. Love never fails. Truly, for this elderly couple, poor in material things, but rich in love, this quote applies so well.